A beautiful conversion of a former Methodist chapel; delicious cakes, afternoon tea, snacks and lunches are served in the cafe and on our sunny terrace. 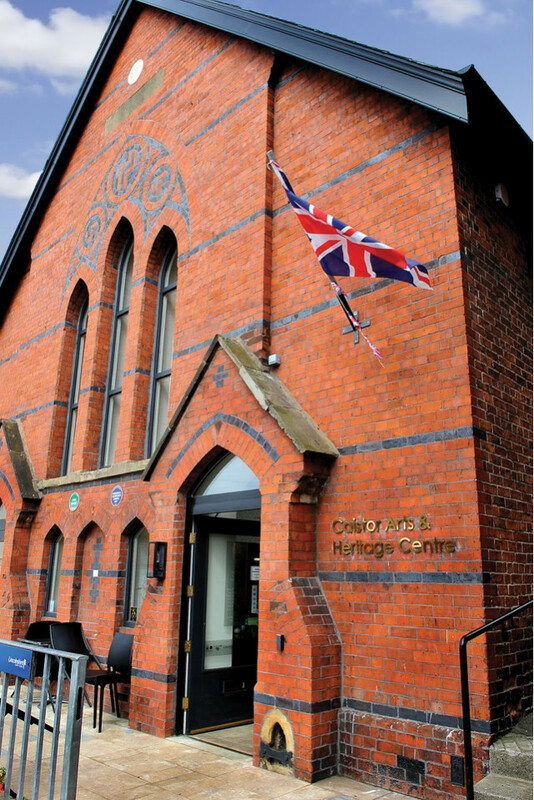 Upstairs you will discover local history displays, exhibitions in our gallery and a well stocked public library. We prides ourselves on catering for our customer's needs and welcome all including dogs, groups and coach parties. An ideal place to meet your friends, family and colleagues. Annual events; New Years Eve Murder Mystery Dinner, Pudding club, Guided Walks, workshops, craft activities, see our website for details and join our mailing list. You can hire us for private events, alternatively we can provide an outside catering service at your home or other venue. This little cafe is an absolute gem. The staff are always cheerful and friendly and top notch. The atmosphere is relaxed and fun. And the food is fantastic. Especially the cakes. I have visited a few times & have always found the service on offer really good. Good espresso & cake, what more could a hungry cyclist ask for when exploring the local area? Will return. 28 Plough Hill, Caistor, Lincolnshire, LN7 6LZ.